Brendan Dahill has been appointed General Manager and Executive Producer at Essential Media (The Pacific: in the Wake of Captain Cook with Sam Neill, Todd Sampson’s Body Hack, Living Universe, Gourmet Farmer, The Principal, Rake, Jack Irish). Dahill spent 7 years at the ABC notably as Head of Network Programming and Channel Controller of ABC1, plus Head of Non-Scripted Productions. He joins from Gordian Media, the production company he launched in 2017 that became a joint venture with NBC Universal and Matchbox Pictures earlier this year. He was previously Managing Director of Keo Films Australia overseeing War on Waste, River Cottage Australia, Struggle Street & Bullied. Previous roles include Director of Television at BBC Worldwide Australasia, plus stints at the BBC, ITV and UKTV in the UK, and Discovery Channel Europe. 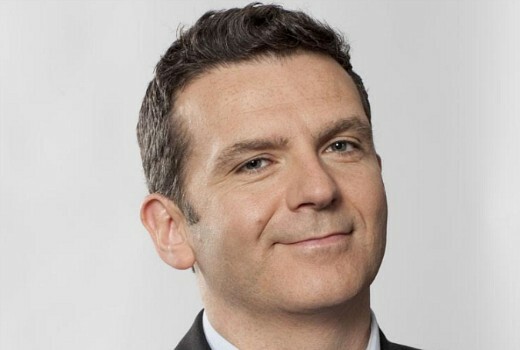 At Essential Media, which recently launched Essential Scripted after the exit of producer Ian Collie, he will oversee both scripted and factual production in Australia and New Zealand., reporting to Essential Media CEO Chris Hilton. “We are very excited to welcome Brendan to the Essential Media Group. With his boundless energy, deep knowledge of content and extensive network of friends in the industry he’s a great addition to our team”, said CEO of Essential Media Chris Hilton. “I am delighted to be joining the Essential Media Group at this exciting moment in their evolution. I am looking forward to working with the talented team here to create great shows and tell amazing Australian stories to the rest of the worl, ” said Dahill. Essential was acquired by Kew Media Group in July with offices in Los Angeles, Dallas Fort-Worth, and Sydney.